Acer Liquid X1 has been announced at the Computex event in Thailand. The Liquid X-1 comes with vigorous features and specifications. It will compete with Micromax Canvas Knight , Samsung Galaxy Grand 2, Sony Xperia Z2, Smasung Galaxy S5 and HTC one M8 mini. 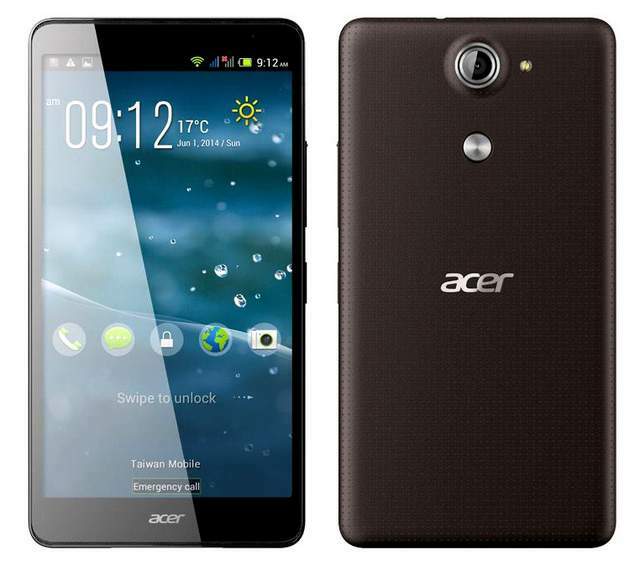 The Acer X1 has 5.7 inch IPS display having 1280 x 720 pixels HD resolution, seems low. It draws the power from 1.7GHz octa core CPU based on Meditex Mt6592 chipset. It runs on latest android 4.4 kit-katoperating system. The Liquid X1 is accomplished with 13-megapixel shooter and 2Gigs of RAM. It features 4G LTE/ 3G HSPA+, Bluetooth, WiFi, GPS and micro USB with OTG connectivity. There is 2700 mAh battery to make the handset alive. The phone is capable of recording FHD 1080p videos. It also has a dedicated button for camera. The Liquid X 1 would be available in Q3. It would be headed to Malaysia, India, UAE and India.